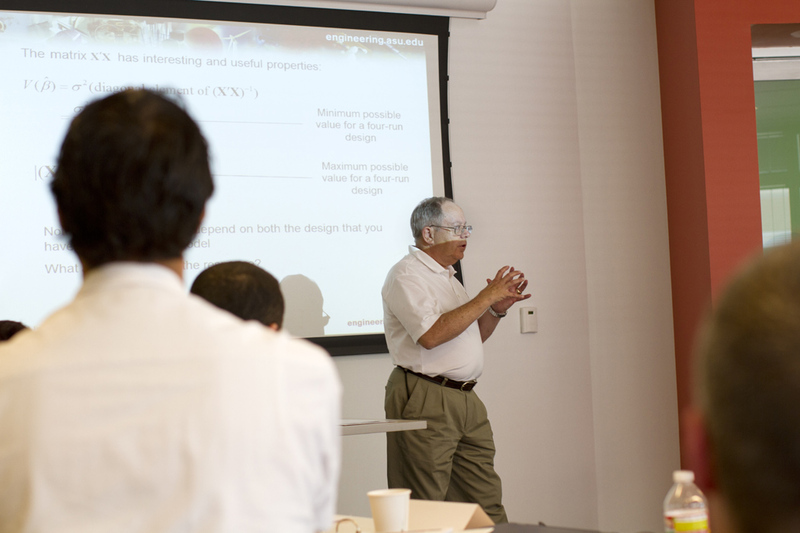 Regents' Professor Douglas Montgomery leads a session in the week-long Master Black Belt program at ASU. Fifteen candidates recently completed the Master Black Belt Training Program, the first step in achieving the Master Black Belt Certification. Candidates must now submit a white paper—a high level plan detailing how Six Sigma will be deployed within their organizations—as the final step in the program. The Master Black Belt Certification is the highest level of technical and organizational Six Sigma proficiency. The MBB program is offered through Fulton Engineering’s Office of Global Outreach and Extended Education. GOEE programs reach more than 500 students in non-credit and professional programs each year. Earn dean’s funding points at these volunteer opportunities for May outreach events! Job opportunity: Join the Innovative Vector Solutions Group as a research technician!